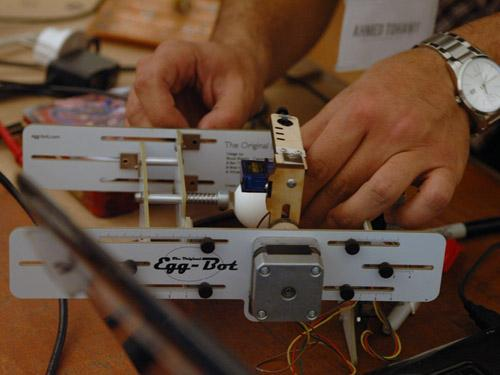 Egg-Bot in the Press « Adafruit Industries – Makers, hackers, artists, designers and engineers! 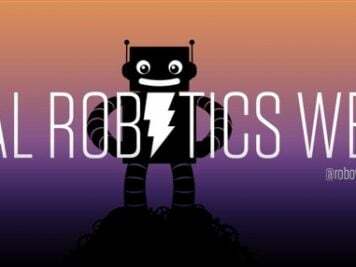 The magic of the Egg-Bot is not lost on the mainstream media– check out these highlights about EMSL’s Egg-Bott in the press! 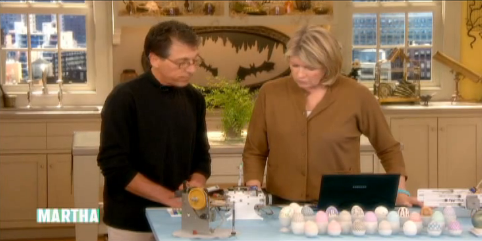 Above is Bruce Shapiro with Egg-Bot on the Martha Stewart Show. 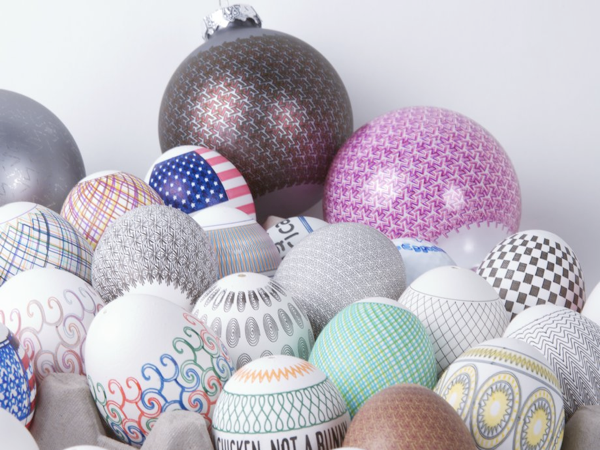 Painting actual eggs is an old-fashioned wholesome Easter tradition that keeps children away from the chocolate for half an hour, but for the not-so-artistically-inclined or the cack-handed, the Eggbot is the perfect device for creating intricately-designed eggs. 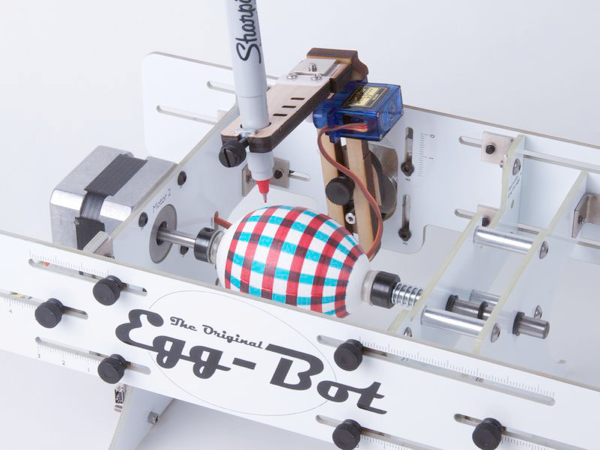 In another room, a demo is being run on the “Egg-bot,” a machine that decorates eggs and pingpong balls with precise patterns, simply by rotating the egg around underneath a pen. Later, the “MakerBot,” a 3-D printer that is connected to a computer and creates objects out of layered plastic, “prints” out a tiny hand.